On arrival to the Santiago airport, you will be greeted by our representative and transferred to your hotel located in Lastarria neighbourhood. 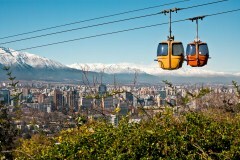 After check-in, the remainder of the day is at your leisure to explore the vibrant city of Santiago. We recommend checking out the Bellavista neighbourhood for its lively bars, restaurants and street performances. Let us introduce you to the classic city we know and love on this 6-hour tour exploring the city’s most popular sites along with some of our personal favourites. Chile´s rich cultural heritage comes to life as we visit the iconic symbols of the city, including La Plaza de Armas (the main square), La Moneda (the government palace), the Santiago Metropolitan Cathedral and the spectacular Cerro Santa Lucia, where the city was founded in 1541. We continue to the bohemian area of Bellavista and climb the San Cristobal hill for a panoramic view of Santiago with the Andes Mountains in the background. We’ll also visit the Orient Sector, the most modern area of the city, with its impressive high-rise buildings and classy boulevards before we offer you a choice of the activities designed to enhance your Santiago experience. On completion of the tour you’ll be returned to your hotel and have free time to further explore the city at your leisure. 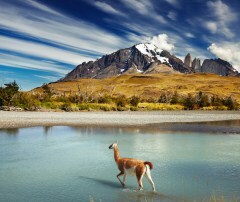 Y our flight to Punta Arenas is scheduled for this morning following a transfer to Patagonia Camp. The Patagonia Camp domes are situated in the heart of the Torres del Paine National Park, offering incredible views of the Torres and picturesque landscapes just beyond your windows. Check in and settle into your “Yurt” – a lightly coloured and circular shaped design that was inspired by Mongolian nomads. Here you will find yourself immersed in the Patagonian landscape, from the subtle sounds of nearby wildlife, to the calming aromas of the native forest. In the evening, there will be a welcoming brief where your guide will explain the excursions planned for the next few days. The camp offers a range of full-day and half-day excursions suitable for all levels of fitness. Your choice of excursion will depend on weather conditions, which your guide will discuss with you the night before. Choose from soft excursions including kayaking, stand-up paddleboarding, fishing in Lake Toro; scenic short hikes to Toro Lake or Los Cuernos viewpoint; full-day trekking excursions to the base of the Torres, Los Cuernos, Grey Glacier, or Cerro Castillo, just to name a few. Every day will bring you new discoveries and you will begin to understand the magnitude of Torres del Paine National Park and its title as the eighth wonder of the world. This morning we will depart Patagonia camp and drive to the airport for our flight to Puerto Montt. On arrival, we will transfer to our hotel located in Puerto Varas. Situated on the Llanquihue lake, Puerto Varas is a charming town with a history of German influences most noted by the designs of patrimonial houses and iconic landmarks. There are shops within walking distance of your hotel for you to explore before dinner. 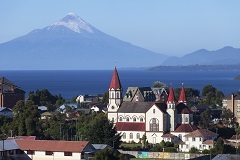 This morning we will depart Puerto Varas and transfer to your hotel in Pucon. 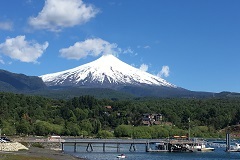 On the way, we will drive past gorgeous views of the Osorno, Calbuco, Puntiagudo and Tronador volcanoes before stopping over in the town of Frutillar. Here you will notice the German culture continue to stretch its influence on the architecture of this charming little town. Continue to Panguipulli for lunch. 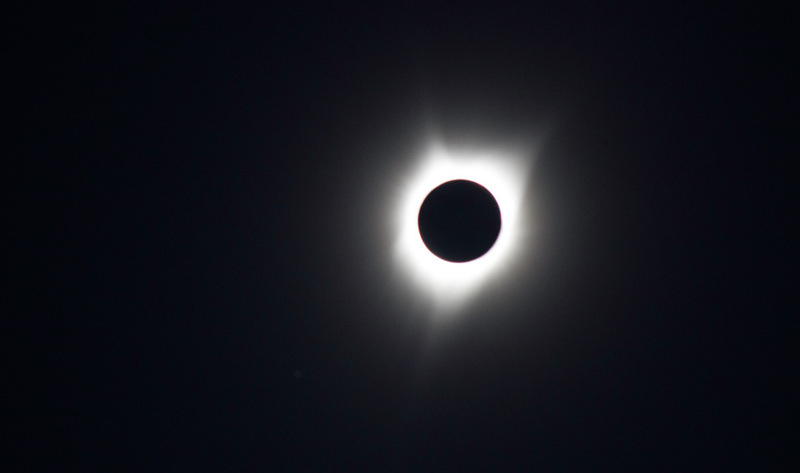 We will arrive in Pucon at approximately 5:00pm where you can check in and enjoy the remainder of your evening at ease while preparing for the main highlight of this tour – the Solar Eclipse viewing! After a relaxed breakfast, get ready for the journey to your unique eclipse-viewing site, where you’ll will enjoy a cocktail while standing in the moons shadow and observing the total Solar Eclipse. In the morning we will depart from Pucón and start heading east towards Villarrica National Park, a protected area boasting 63,000 hectares. Once in the park, our trekking adventure will begin bordering one of the most important lagoons of the area: Quillelhue. This is where we can find the majority of avifauna in this park including black-necked swans, red-gartered coot and a variety of ducks. After lunch, we will continue following a different trail passing through the northern slope of the imposing Lanín Volcano. There we will have the chance to experience direct contact with nature as we discover the Andean Lagoons and the biodiversity they encompass. If lucky, we might spot skunks, Andean condors, woodpeckers and even cougars while walking through lush forests of coigües and monkey puzzle trees. After this great experience, we will return to our starting point to admire a nearby waterfall and then head back to Pucón. 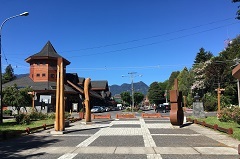 Internal flights (Santiago – Punta Arenas, Punta Arenas – Puerto Montt and Temuco - Santiago) and airport taxes. Three domestic flights estimated at US$750 per person and available to book in 2019). The maximum group size for this tour is 24 people. For more information, please contact us.